Why is this important? Reconciled books help the small business owner know that EVERY transaction is posted and the bookkeeping is accurate and up to date. For What Purpose? 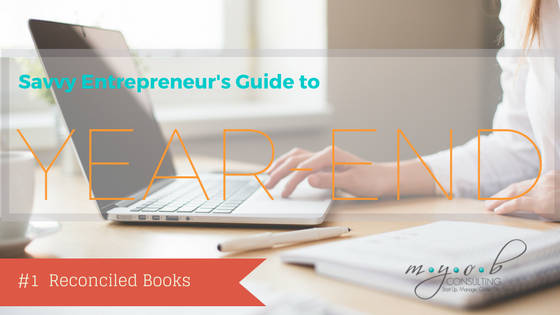 From an entrepreneur’s perspective, reconciled bookkeeping means ACCURATE financial reports. Timely and accurate financial reports such as a Profit & Loss, Balance Sheet and Accounts Payable/Receivable and Budget vs Actuals are all extremely vital tools in effectively managing business finances and should be the key drivers in decision making. From a CPA and Tax Authority perspective, reconciled books means confidence in reporting and filing tax forms with the most accurate information possible. This practice, along with good record keeping should give you and your CPA great peace of mind that lessens the fear or anxiety of a potential audit. *Tip: Ask your bookkeeper for a reconciliation report for the last month reconciled to ensure that there aren’t posting errors on the account. What to look for: Scan the “Uncleared Transactions” section. There shouldn’t be old, uncleared transactions sitting on there for months.